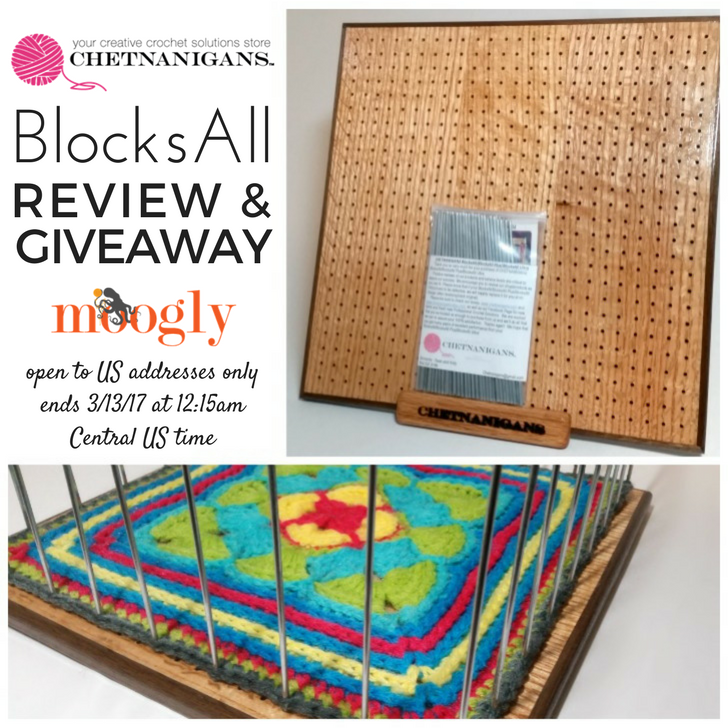 Better Blocking with the Chetnanigans BlocksAll Giveaway! 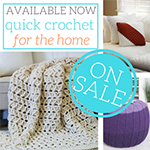 I spent years as a crocheter not knowing about blocking. I didn’t know what it was, how it was done, or why, but now I’m a big believer in it! 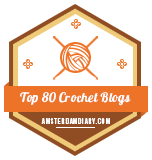 So I jumped at the chance to try out the Chetnanigans BlocksAll – and tell you all about it! 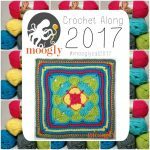 The BlocksAll is the perfect tool for blocking my crochet squares for the Moogly Afghan CAL! I’ve blocked two of them on my BlocksAll so far, and it is SO much easier and faster than pinning it out, ruler in hand. I know exactly where the corners and sides go, with no measuring or fuss with a 12″ maximum, and holes spaced at 1/2″ in any direction. Of course, this is great for all kinds of shapes – triangles and circles too! 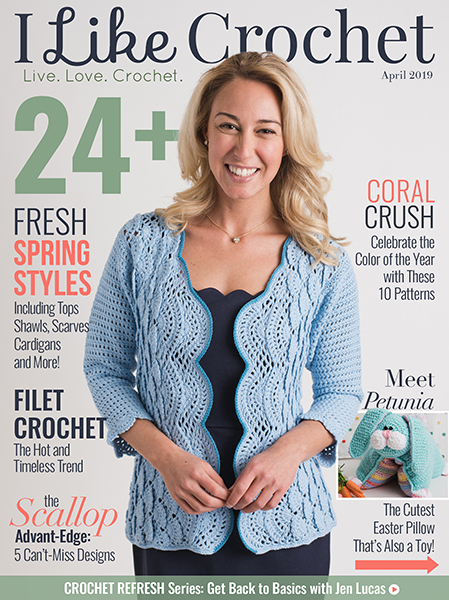 Blocking your motifs can make a big big difference. Not only does it make them look pretty on their own, but it’s easier to join them up when they’re all the same size – saving you time and effort. And the finished blanket looks better too! To block each square, just stick the pins right through the outer stitches (go under both loops! ), and then put the pin in the corresponding hole. Then, spritz it with water or hit it with a bit of steam – let it air dry and done! 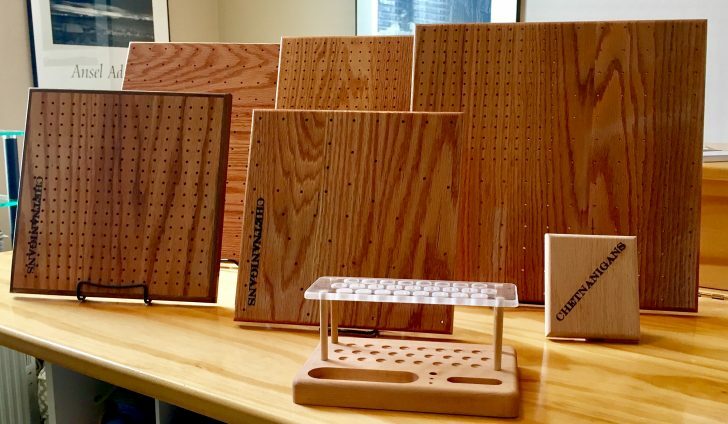 Chetnanigans products are all super high quality, and the BlocksAll is no exception. It has a fully felted backside to protect your working surface and ships with a vertical display that helps to minimize storage needs. And of course, it comes with enough pins to help you block nearly any combination that you might want! 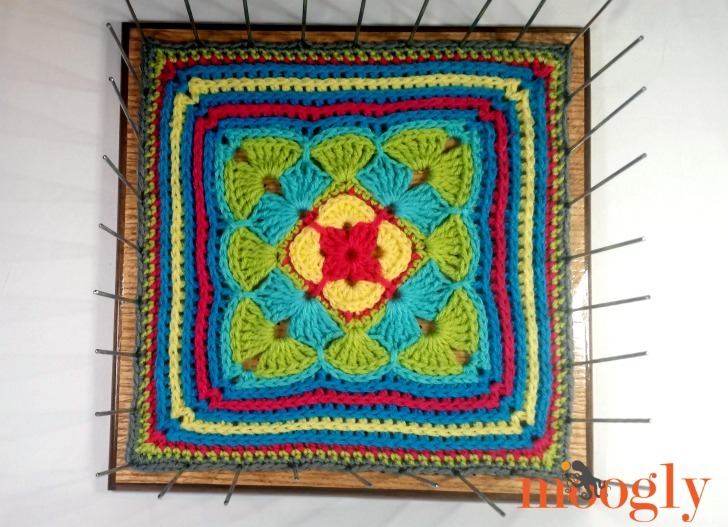 You can use the BlocksAll to block granny squares from 1″ to 12″ in one-inch increments allowing you to block several different projects at the same time! In fact, they are revamping and expanding their entire Blocking line of products, with offerings from as low as $19 to the BlocksAll Ultra at $199. 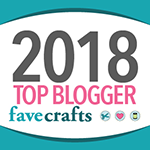 They will be offering a total of eight different models, from the Mini Blocker to the African Flower blocker to a brand new 8″ BlocksAll Ultra Mini, and their newest 8″ EZ Blocker 2.0, which will block squares (at the corners as well as throughout the sides) from as small as 3″ to as large as 8″, and can block squares, triangles, rectangles, pentagons and more! 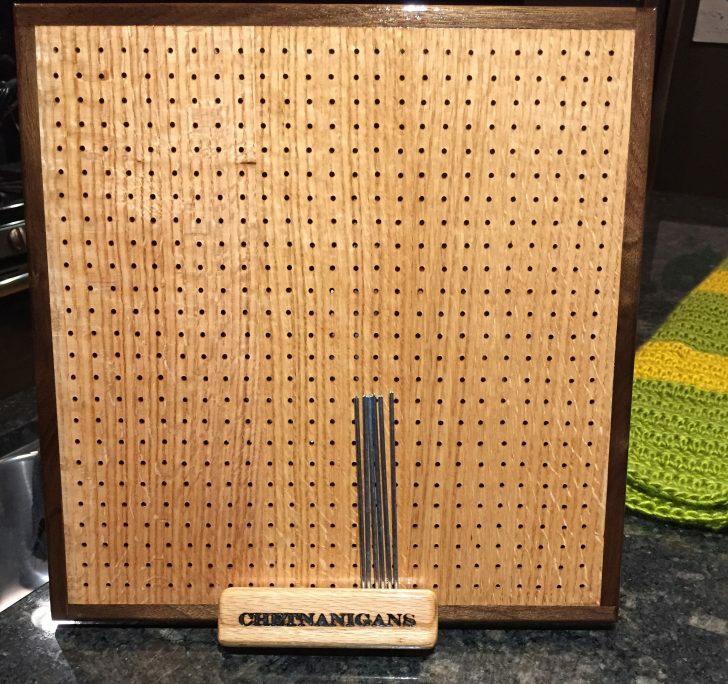 They all come with smaller pins – so you don’t stretch your granny square corners – and every board from Chetnanigans will include a minimum of 4 coats of Polyurethane so that misting with your blocks while they’re on the board is no problem! The Premier BlocksAll Ultra also includes Black Walnut Inlays, a Lifetime Warranty, Free Shipping and a “No Questions Asked” Return Policy. The Ultra board takes well over a full day in the shop to produce! In love yet? You can keep up with everything amazing coming out of the hardworking hands at Chetnanigans at the following links: Chetnanigans Website; Etsy; Facebook; Pinterest; and YouTube. 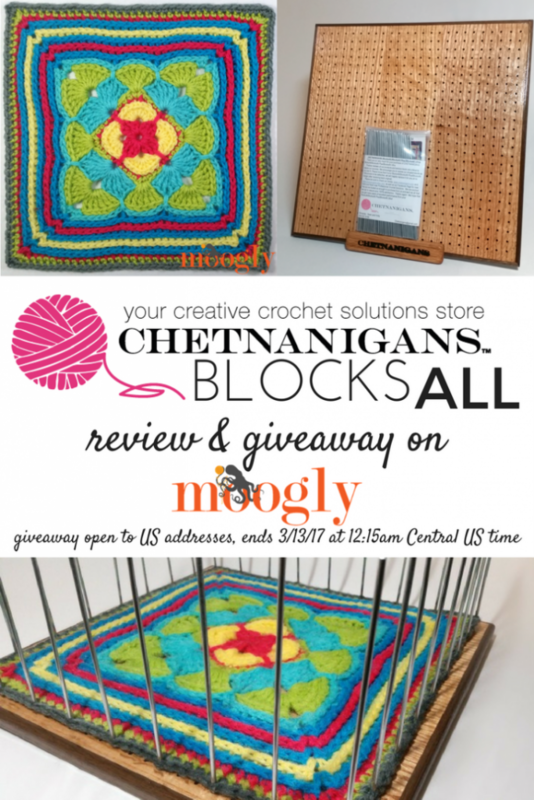 And right now, Chetnanigans is offering a special coupon code for Moogly readers! The code is moogly15 and it will give you a 15% discount on any Chetnanigans purchases, valid at both www.chetnanigans.com and their Etsy store at www.chetnanigans.etsy.com! This coupon is valid 3/5 through 3/21/2017. 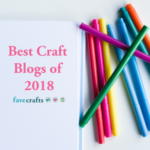 But wait – there’s more – a giveaway! Enter to win your own BlocksAll from Chetnanigans below! The Chetnanigans BlocksAll Giveaway is open in the US only, and ends 3/13/2017 at 12:15am Central US time. 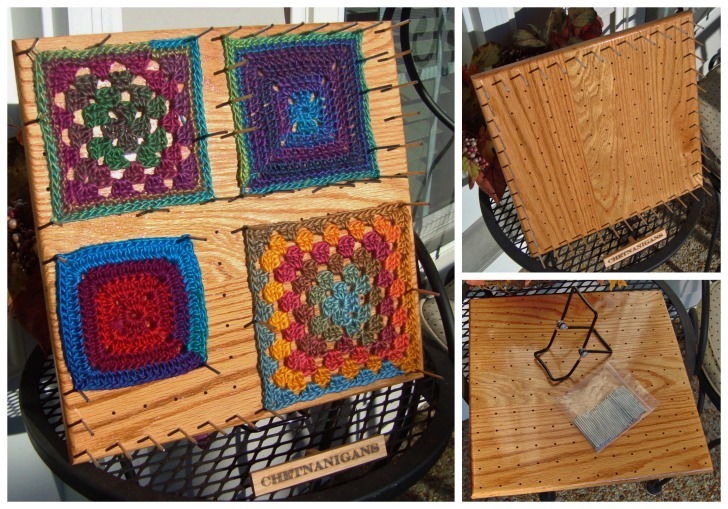 The winner will receive a BlocksAll Set as seen at https://chetnanigans.com/product/blocksall-afghan-granny-square-combination-ezblocker-new-from-chetnanigans/ To enter, use the Rafflecopter form below. If you are on mobile and have difficulty entering, please use a desktop computer to enter. Only the email option is mandatory – all other tasks are optional, for bonus entries only. Good luck, all! You can follow Moogly on Facebook, Twitter, G+, Pinterest, Instagram, and Tumblr! Thank you to Chetnanigans for sponsoring this giveaway! 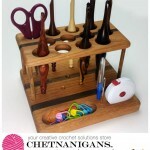 Chetnanigans: Handmade Wooden Crochet Goodies! SQUEEEE!!!! I was going to go to my local hardware store this weekend and look for all the stuff to make one. This is much easier! Fingers crossed! And hope I can hold off buying until I know if I won! LOL! Oh, my! Where has this been all of my life?! I so would love to win this! I so need it!! Yayy!! Thank you for posting!! I did a search this weekend looking for something like this and couldn’t find. Tried my hand at a homemade one which I am NOT real pleased with but will work for a bit in a pinch… This is awesome!! My gosh! What a great product! 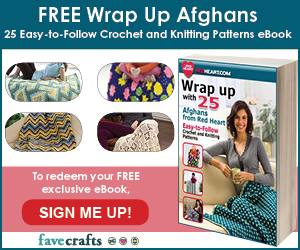 And an essential for someone who loves making squares and motifs like me! I have been using foam puzzle shapes that lock together, which are supposed to be for the floors of kiddie play areas, LOL – these are all measured out perfectly for me, sigh… Thanks for the chance to win!! Like the other commenters – I sure hope i win! This is a great idea and looks so nice made from wood. The photos with the motifs on the block look so nice, it is almost a shame to take them off. What could be better??? Functionality, practicality and beautifully crafted. THAT is gorgeous!!! What’s generous giveaway!! So great! Thanks for the opportunity! Wow that is a great piece of useful art! Pity I can’t enter because I don’t live in the US and I’m sure I will not find anything similar here in sunny SA. Super idea! Thank you for the giveaway! Very exciting! These boards look wonderful! I am crossing my fingers!!! 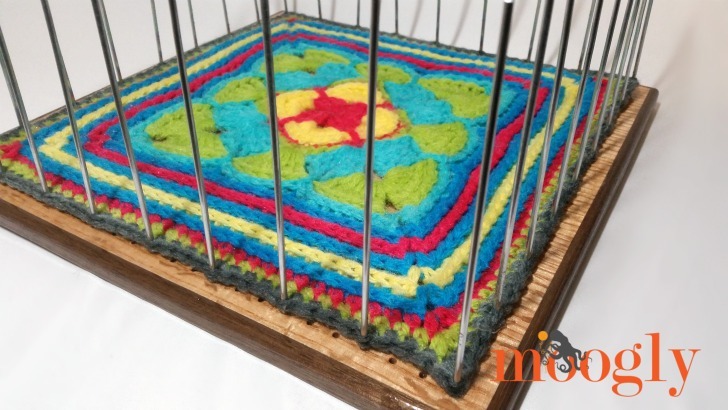 What a great tool to use for blocking. Using yoga mats and hook together excersize mats is a challenge when trying to get something squared off. Would love own on of these. What a help it would be!!! Heh, sorry! 😛 At least there’s a coupon! 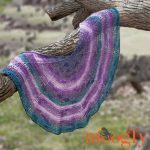 Ok so I know this is an old post but I am looking to try blocking a scarf I’m making with Lion Brand Mandala. Since it’s thinner, it is curling a bit and the pattern will look better when blocked. BUT, are there any garment steamers you would recommend? I have a steam iron but get really tired of having to keep pushing the button for the burst of steam. Thanks! You know what, I bought one of the highest recommended ones on Amazon (consumer model, not the pro big ones) and the thing broke the second time I used it. 🙁 So I’m afraid I have yet to find one I can recommend, I’m sorry to say! Awww, that’s a shame! Well, I need a new iron anyhow so maybe I’ll just buy one with a better steam feature. Thanks!